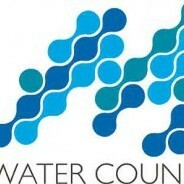 The U.S. Small Business Administration (SBA) has selected The Water Council as one of four regional industry innovation clusters to receive new federal funding to fuel growth. These cluster initiatives focus on the most effective approaches to linking small businesses to regional networks of leading research, commercialization tools and financing. The Milwaukee 7 Region was selected for a federal program which designates the region as a "Manufacturing Community,"